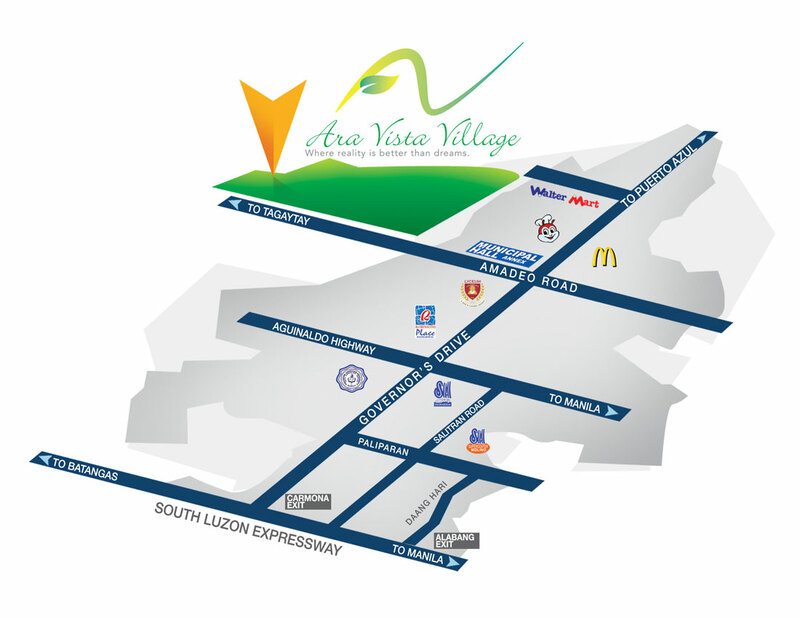 Ara Vista Village is strategically located at General Trias, a thriving municipality in Cavite, where suburban tranquillity combines with easy access to modern conveniences. How to Get to Ara Vista Village? Via South Luzon Expressway (SLEX) reaching thru Carmona Exit, allowing approximately 60-90 minutes of travel from Makati City. Via Coastal Road-Aguinaldo Highway route, which would take around 45 minutes from Manila. Via Daang Hari Road approximately 30 minutes away from Alabang, Muntinlupa area.